It might be Halloween, but you won't see any witches flying across the moon tonight because it's a new moon. Your children might be over the moon today, though!!! From the time children are toddlers, most of them are fascinated with the moon. The moon is FREE and it belongs to EVERYONE! Wouldn’t it be interesting to have children look at the moon every night for a month with their parents and draw a picture of what the moon looks like? What a meaningful way for families to do a little science together. The moon has no light, but it reflects the sun’s light. The light of sun on the moon creates the different phases of the moon. That’s why it looks different to us throughout the month. It’s called a new moon when you can’t see it. When the moon gets a little larger at night it’s called waxing. A full moon is when it looks like a circle. As the moon gets smaller it’s called waning. The moon is always up in the sky, but during the day when the sun is bright you can’t see it. *Let one child pretend to be the earth and stand in the middle of the room. Let another child pretend to be the moon and circle the earth. *What other things can you see in the sky? Take children outside and let them draw pictures of the things they see. *Is there really a man in the moon? The moon has craters that make it look like a face. Give children uncolored play dough and let them make a moon/pancake. Have them make craters in their moon with a pencil eraser or the end of a marker. Don’t forget to read two of my favorite books GOOD NIGHT, MOON, and HAPPY BIRTHDAY MOON. LET'S CANCEL SCHOOL THIS WEEK! As much as children look forward to October 31st, teachers get the heebie jeebies just thinking about it! If I were in charge of the world I would cancel school Monday and Tuesday this week. The children are going to be wound thinking about Monday night and then Tuesday they will be full of sugar. My advice is don't make yourself crazy trying to do too much the next few days. Shut your door, play outside, review skills, play games, sing songs, make a book, and take a deep breath! Enjoy the day with them! They have one chance in a lifetime to be a child and many, many years to be a grown-up! For homework on Monday ask your students to save all their candy wrappers and bring them to school on Friday. 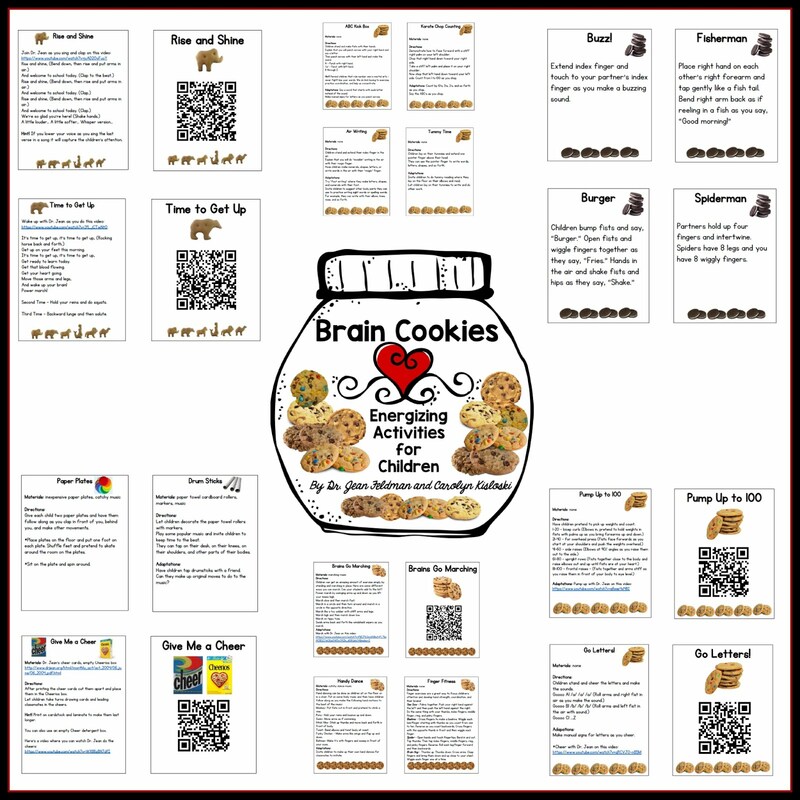 Here are some learning activities that will taste “yummy” to your class! BOO PUPPET! I think everybody in the world must know how to make these, but just in case there's one person out there I need to keep this idea alive. 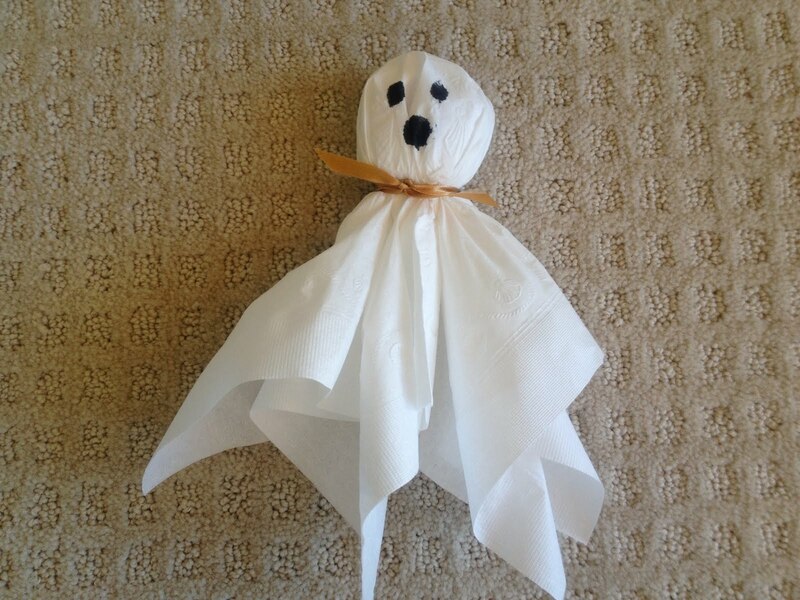 All you need are white napkins, lollipops (such as Dum Dums or Tootsie Roll Pops), ribbon, and a marker. Open the napkin and place the lollipop in the center. Gather up the napkin and tie with a piece of ribbon as shown to make the head. Decorate the face with a marker. A math specialist one told me how important it was to have the children look at the signs when they are doing math. Most children know how to work the problems, but they often forget to look at the sign first. Here’s a little rap to make it more fun. Before you add or subtract. When you do your math! And your answer will always win! Place chairs in a circle and put a coin on each chair. Play some music for the children to march around. When the music stops they have to identify the coin by where they are standing. *Make the game more difficult by putting several coins for the children to count. Skip counting is one of those "prior learning" activities that we can do with young children. When they get older and have to learn multiplication facts it will be a "song." *Continue singing with other math facts. They don’t give me any trouble! Looking at ideas from ten years ago is like going trick or treating and getting candy for me. These are old ideas, but they are still “sweet” as candy! *I've also heard these referred to as "Outlaw Words" because they don't obey the laws. Write every letter on two index cards. You will need to use as many cards as there are children in your class. For example, if you have 24 students use 24 of the cards or the letters A – L. Pass a letter to each child, but tell them not to let anyone see their letter. Children walk around the room making their sound until they find someone making the same sound. They stoop down and think of a word that starts with that sound. When all students are stopping the teacher yells, “Pop Up ABCs” and the children stand up. Continue playing the game with different letters. *Make a similar game for younger children with pictures of farm animals. They walk around making their animal’s sound until they find their partner. What a great way to nurture vocabulary! Take turns reading every other word. *You can do this as a large group activity or children can do this with a partner. No almonds, pistachios, or cashews. No sharing snacks or lunch with me. I’m what you call peanut-free. No, no, no, no nuts I need. 1. What's at the top of you? Your head! Make the head in this top section. 2. What's in the middle of you? Your body! Make a body in the middle section. 3. What comes off your body? Your legs! Make your legs in the bottom section. Talk...hear...smell...continue calling out details for the children to add. Note! One time I had a little girl who liked to draw naked people. I didn't make a big deal, but I said, "You know, everyone has to wear clothes to school." That's all it took! I got the suitcase out today and I'm ready to pack for my fall tour. (Well, that's kind of stretching it to call my seminars a "tour," but you know what I mean.) I'm ready to sing and dance and share some great ideas in these locations. Go to SDE.com for details. P.S. Bring your camera and we'll take some "usies." 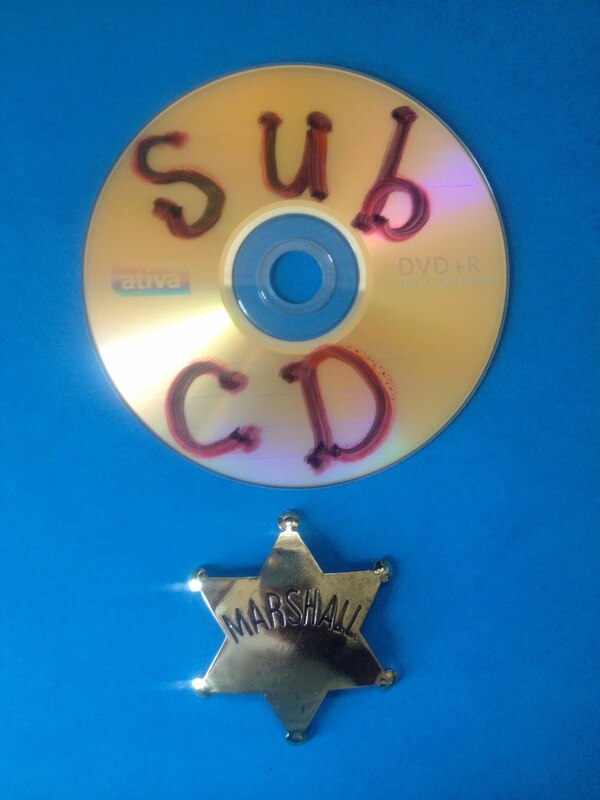 Another teacher said she kept a sheriff's badge with a folder for the substitute teacher. One child was chosen (alphabetical list) to be the "sheriff for the day" and "keep law and order." What she meant by that was when there was a question and everyone in the classroom had a different answer, the sheriff decided what to do. I thought of a few more activities with magnetic letters. All kids love birthday parties, so why not celebrate the letters’ birthdays! *Have children stand in a circle. When the letter that their name starts with comes up in the song they get in the middle of the circle and break dance. *Make sign language letters as you sing. *Cut out this birthday cake and add magnetic tape to the back. Place on a magnetic board and spread magnetic letters around the cake. Children take turns choosing a letter, putting it in the cake, and leading their friends in the song. 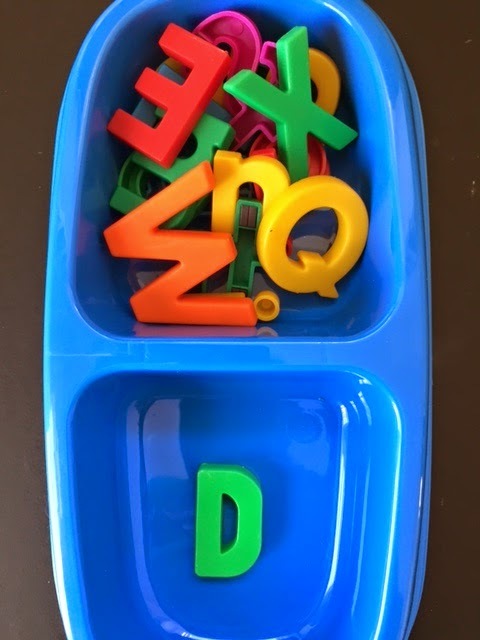 Put magnetic letters in a dog dish. Pull one letter out at a time and use it in this chant? Who let the B out? I’ll be demonstrating these activities when I go LIVE AT FIVE ON FACEBOOK this afternoon. Magnetic letters are kind of like comfort food in early childhood. 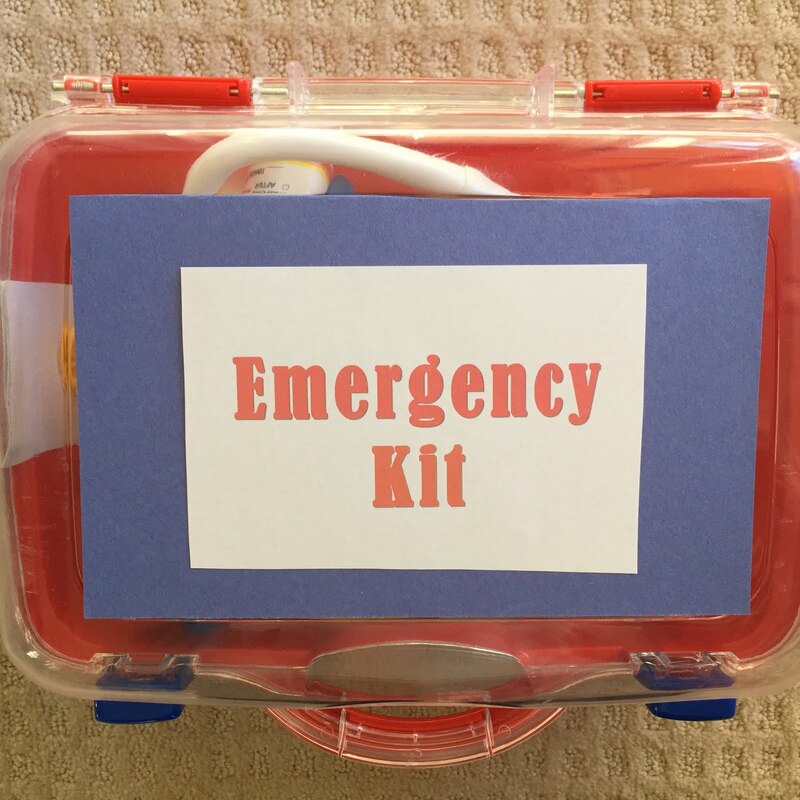 They have been around forever and they can be used in a multitude of ways from preschool to primary grades. They are inexpensive, plentiful, and they are REAL – as opposed to the screen. Letter Monster – Make a letter monster out of a milk or orange juice jug. Cut an opening in the side of the jug and then make a monster face similar to the one shown with felt and art scraps. *Feed the monster all the letters you know. *Feed the monster the letters in your name. *Feed letter monster all the red letters. Can you name them? *Feed the monster the letters of your favorite color. *Choose a letter. Can you write it? Can you draw a picture that starts with that sound? *Grab a handful of letters. How many words can you make? *Make sight words with the letters and feed them to the monster. Can You Find Bottle? 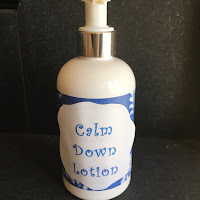 Fill a large plastic bottle with salt or sand. Insert magnetic letters and shake. Children shake the bottle and try to identify letters. *Can they find some friends and make a word with their letters? *Have children hold up letters as you sing alphabet songs. Hint! E6000 is the BEST glue for these projects. You can find it at any of the big box stores. Make sure you use it at home because it is toxic and should not be around children. Play Dough – Put magnetic letters in a center with play dough. Children can make “pancakes” and then press the letters on them. *Make sight words and press them in the play dough. Letter Match Up - Create a class alphabet book by having children draw pictures for each letter. Children find magnetic letters and match them up in the alphabet book. Shadow Letters - Place letters on a copy machine. Have children match up real letters with their shadows. Letter Hunt- Hide letters in the classroom. Children will love to go on a “letter hunt.” Can they identify the letters they find? Can they make a word with the letters they find? Touch and Tell - Place a magnetic letter in a sock. Can children reach in the sock and identify the letter by feeling it? Building Words - Demonstrate how to build words with magnetic letters using a document camera. 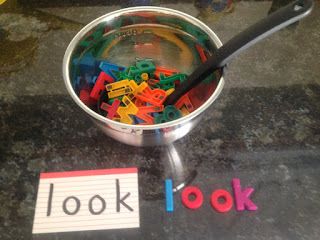 Alphabet Soup - Place magnetic letters in a mixing bowl. Children take a big spoon and scoop out some letters. How many words can they make with their letters? Ask the children to write the words they can make. Letter Tin – Place magnetic letters inside a cookie tin. Make three lines with a permanent marker on the inside of the lid. As you call out sounds children place the letters on the lines to make CVC words. 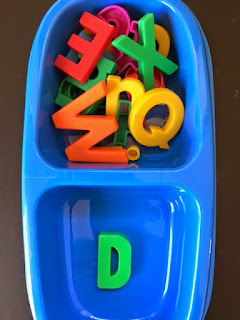 Letter Play - Let children play with magnetic letters on a cookie sheet or file cabinet. A long, long time ago I used to self-publish a little book called MAGICAL MUSIC. I forgot all about a pattern I had in that book for a “Letter Baby” until someone tweeted her kids singing the song with their visuals. Maybe some of your children will enjoy it as well. Here’s another visual to help children focus on letters and sounds. Color and cut out the bus using the pattern. Add magnetic tape to the back and place it on a magnetic board. Put magnetic letters in the window as you sing the song. You can count on me to give you a few more interesting ways to develop math standards today. Trace around each child’s hands on a 6” square and let them decorate it with markers or crayons. Make a cover that says “High Five Book.” Tape the pages together to make an accordion book. Number the pages 5, 10, 15, 20, etc. Read over the book counting by 5’s to 100. *Make a “Piggie Book” by tracing around children’s feet. Number the pages 10, 20, 30, etc. and practice counting by ten’s with this book. And ODD was their name-o. And EVEN was their name-o. Students sit or stand in a big circle. Explain that the group will be counting around the circle, each saying one number. You may count zero to twenty, or decide to “count on” and choose random numbers like 36 to 47. Choose a magic number in the sequence of numbers that will be counted. The person who says that number each time around will go sit in the middle of the circle. Play continues (with the given numbers or a new set you choose) until only one student is left in the circle. *Have students count by tens to one hundred. Each student says one number. The student who says “one hundred” goes to the middle of the circle. Attach a piece of tape to the floor in a prominent place in your classroom. Let children walk on it forwards, backwards, hop, etc. After playing with the line, ask them to sit on the floor. Explain that you’re going to turn it into a number line as you demonstrate writing numbers (0-10) on the tape. *Ask one child at a time to walk on the number line as they say each number. *Call out different numbers and ask random students to stand on those numbers. What is one more? What is one less? *Give students dot cards (0-10) and ask them to match their card with the number on the line. *Make a number line for each child from a sentence strip. Let them decorate a jumbo craft stick and then use it to count on the number line. *Make a number line on the sidewalk with chalk and use for similar activities. I need to give a little love to math today! Note! For younger children you would just count from 1-10 using the activities. Count higher for kindergarten children as they progress through the year. Feet out, knees bent, karate chop with your right hand and then your left as you count by ones. *Kick front and back as you count by 10’s to 200. *Wax on, wax off as you count by 100’s to 1000. Pretend to hold weights as you count. Children pretend to hold an imaginary jump rope and jump as they count to 100. Choose a different dance move for each ten as you count. 91-100 – Do your own thing! Children face their partner and patty cake as they county by ones, fives, tens, and so forth. Write numerals 1-20 on a cotton shoelace with a fabric marker. Slide a bead on the shoelace and move it up and down as you count. *What’s one more than___? Two less than___? Hint! This would be a good project for a parent volunteer. Write numbers one to twenty (or as many as students in your class) on 3X5" cards. Shuffle the cards and hand one to each student. Have students line up in numerical order at the door. They put their cards in a basket by the door when they line up so the cards are ready to use next time. As the year progresses write higher numbers on the cards. Have children count using different voices. For example: robot, opera, pirate, monster, teacher, cowboy, monkey, surprised, worried, silly, excited, happy, sad, mad, confused, whisper, sleepy, and scared. *Add holiday or seasonal voices like a scarecrow (reads words in a scary voice), ghost (students say “boo” after each word), witch (read with a cackle while stirring a pot), Rudolph (students flash their hands like blinking lights as they read the word), Frosty (students shiver as they read the words) or Santa (students must say the words three times in a “ho,ho,ho” style), or the Easter bunny (students hop after saying each word). 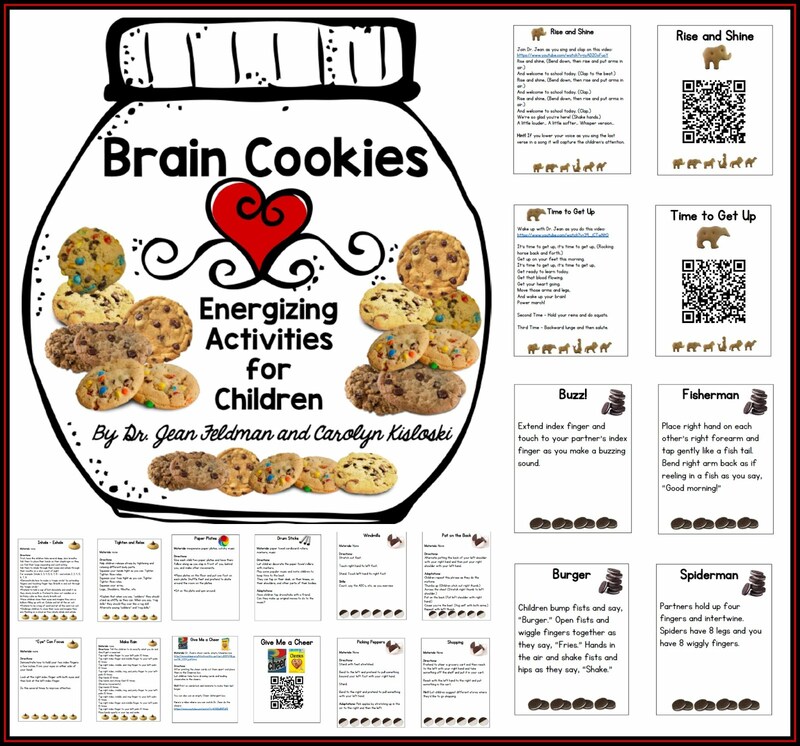 Take advantage of those extra minutes you have before lunch, while waiting to for an activity, or at the end of the day with one of these brain breaks. 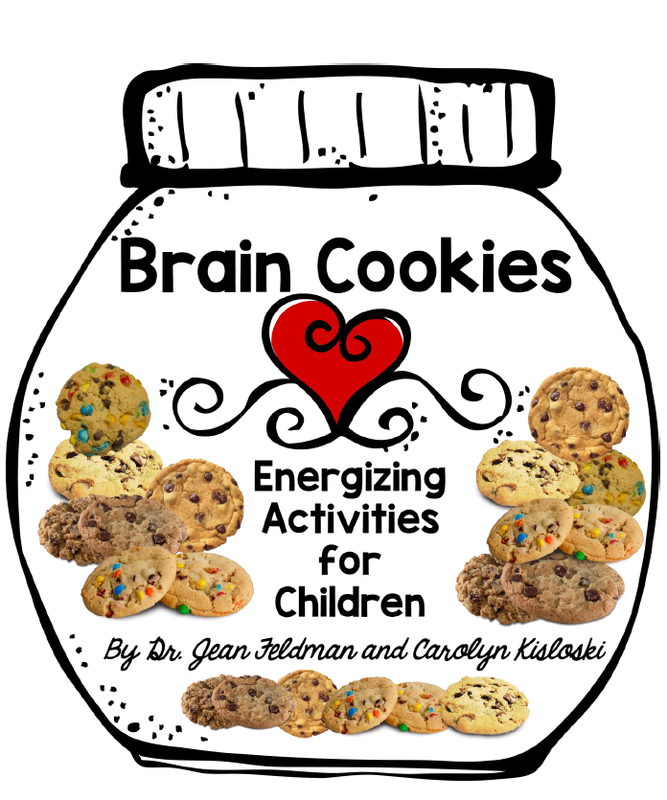 They are the perfect solution for when your students look bored or restless during the day. Have children stand. How long can they balance on their right foot? How long can they balance on their left foot? Ask children to stand and challenge them to jump in their space as long as they can. When they get tired they can sit back in their seats. Here’s a video where you can jump with Dr. Jean. While children are waiting in the hall have them put their hands up against the wall and push it as hard as they can. Ask them to do push ups against the wall? How about a three-minute "babble break" where children can talk to their friends? You could give them a topic to discuss that relates to a unit of study, let them tell jokes, or just chit chat. Hungry for a few transition cookies? If they taste good you can order more! 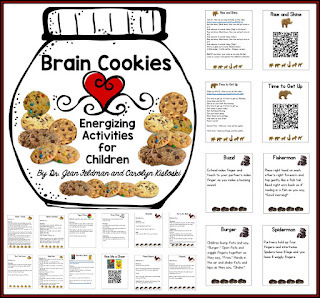 You can give standards a brain break with these smart cookies. Purposeful practice for automaticity (repetition) is a key to skill mastery, so these playful exercises will have children practicing skills as they move and have fun. Children stand and put their hands in the air as they say a letter. They put their hands on their shoulders and make the letter sound. As they touch their toes they say a word that starts with that sound. Directions: Children stand and do the “Macarena” as they count. *Skip count using the Macarena. Counting by 2’s, 5’s, 10’s, etc. will help children with multiplication. How about some sample smart cookies? Draw a line vertically down the middle of your body. That’s called the midline. Every time you cross over that line, you are activating both sides of the brain and building bridges between the hemispheres in the brain. Hint! Let children put a piece of painter’s tape on their midline to increase their awareness when you do these activities. Touch right hand to left knee and then touch left hand to right knee. Continue touching opposite hands to knees. Adaptations: Lift left knee and touch with right elbow. Lift right knee and touch with left elbow. *Count, say the ABC’s, repeat nursery rhymes, and so forth as you cross and tap. Cross right leg over left knee and write the letters of the alphabet with the toes on your right foot. Then cross your left foot over your right knee and write the alphabet letters backwards with your left toes. *Practice sight words or spelling words with toe writing. Here’s a silly video that will reduce stress and have everyone laughing! Finger exercises are a great way to focus children’s attention and develop hand strength. 1. Demonstrate how to fold your hands and twiddle (rotate thumbs around each other) your thumbs. 2. Unfold your hands and put the opposite thumb on top and twiddle. 3. Wiggle one finger at a time starting with your thumbs, index fingers, middle finger, ring, and pinky fingers. 4. Put palms together and tap one finger at a time starting with thumbs. Cut surveying tape or ribbon in 3’ sections. Pass these out to students and have them follow along as you cross the midline and make different motions to the music. *Make lazy eights in front of you with the tape. 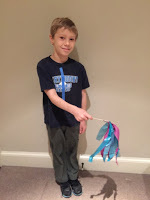 *Play follow the leader as different students make motions for friends to follow along. And here’s how to order more! You learn on your feet, not on your seat! When children move, dance, and wiggle, more senses are activated and the message is more likely to get to the brain. Music and movement also emit endorphins which make you happy. I’ve got breakfast cookies to start your day, smart cookies to reinforce skills, and transition cookies for all those “in between” times. I’ll be ALIVE AT FIVE today so you can watch me demonstrate some of the movements. Note! 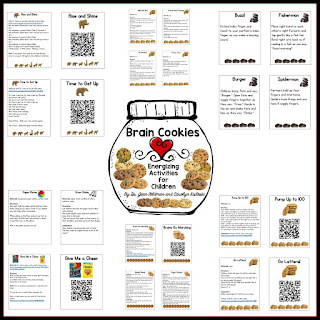 Feel free to “harvest” these ideas to work for your class and the age level of your students. Have your students start each day with about 10 minutes of singing, dancing, and handshakes. 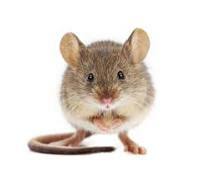 Activating the extremities (hands and feet) sends blood to the brain and wakes up the body. Stand in a circle and begin doing this beat as you stomp your foot two times and then clap two times. Insert each child’s name in the chant as you go around the circle. We think first child’s name is super. Super! We think second child’s name is super. Super! Adaptations: Insert other positive adjectives, such as "awesome," "incredible," "talented," "kind," "polite," etc. Now you’re ready to learn! Nothing can replace the sense of touch with a handshake, eye contact, and a smile for each student every morning. 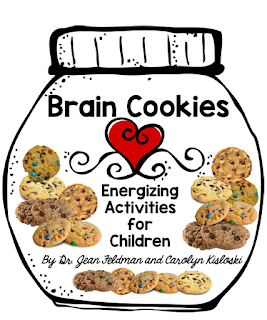 If you’d like more cookies check out this package that Carolyn Kisloski has created! PLAY - That's What I'm Talking About!